We havetThree CDs available at the moment. 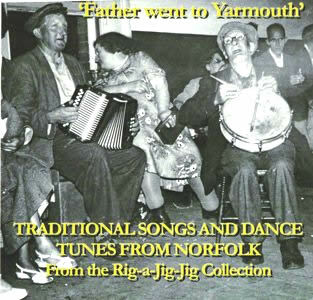 One is of collected recordings of the old traditional performers. 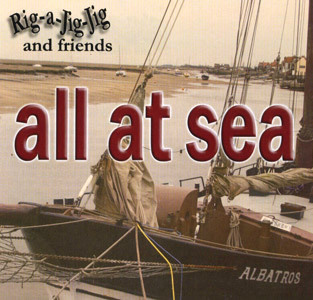 The other two are of Rig-a-Jig-Jig and friends, recorded live in Wells; one at the Granary Theatre and the other on board the SS Albatros in Wells harbour. They can be bought directly from us for £11.40 each (that includes postage and packing). Before ordering you should read our Terms and Conditions of Sale. Follow the link above to our Contact page to see how to get more information and where to send your cheque. Sound file above gives you track 11. File below is track 15. Sound file above gives you track 1. File below is track 5.